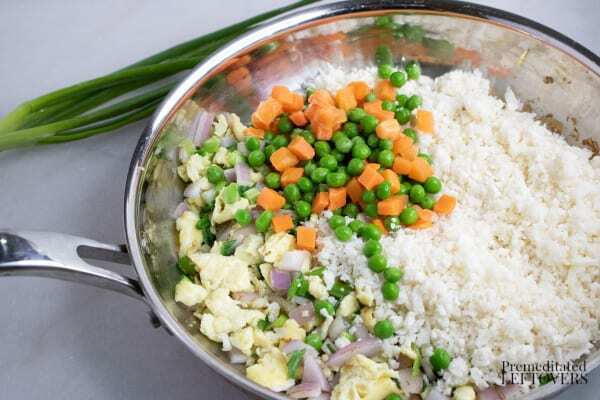 Turn cauliflower rice into something delicious with this Cauliflower Fried Rice Recipe. 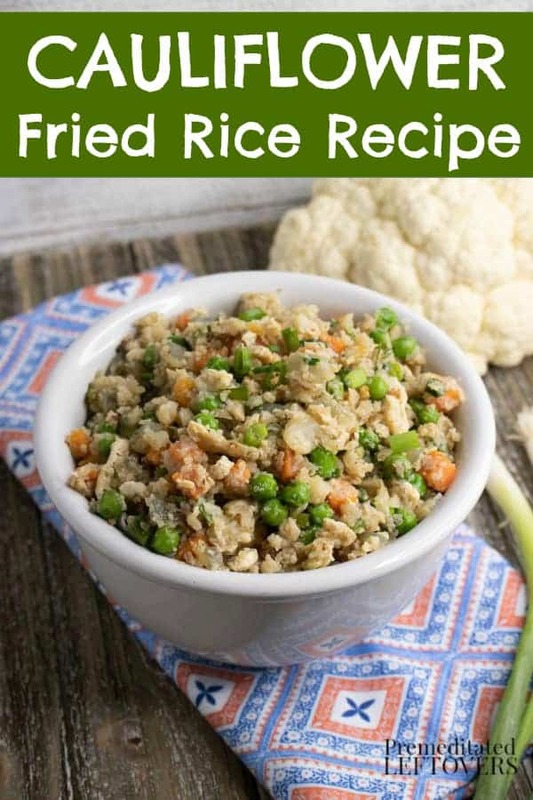 This Cauliflower Fried Rice Recipe is delicious on its own or to accompany your favorite low-carb Chinese dish. 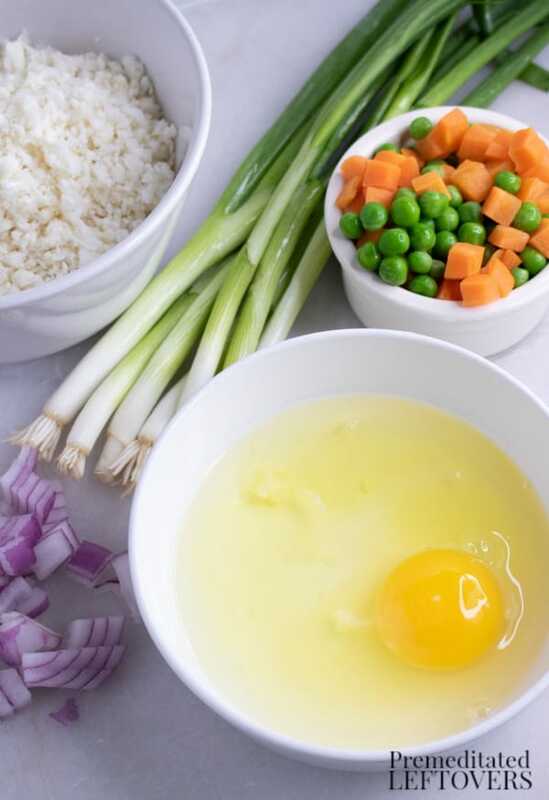 In my book, Prep-Ahead Breakfasts and Lunches, I share how to batch cook cauliflower fried rice to use in meal-prep lunches. 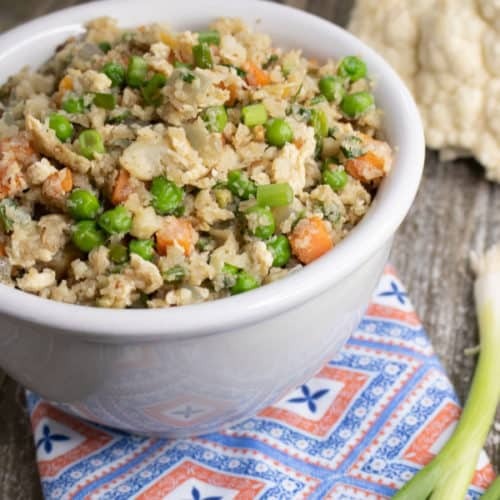 I realize not everyone makes lunches for the week ahead, so I wanted to share how to make make a smaller batch of Cauliflower Fried Rice, so you can quickly make a side dish for dinner. 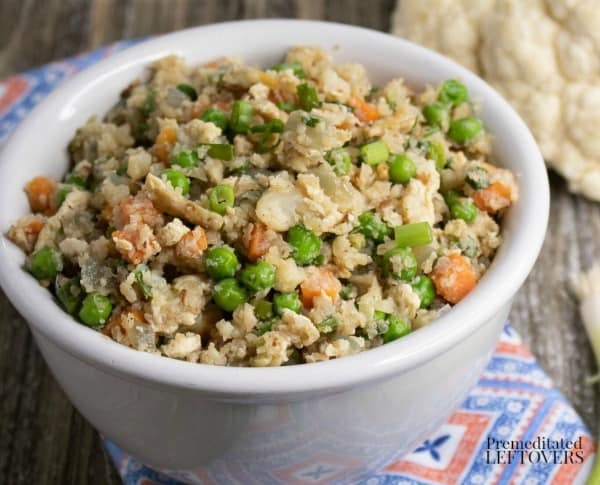 Cauliflower Fried Rice has all the flavor or traditional fried rice, but it is low-carb and comes together much faster than fried rice. Beat the eggs and then pour them into the skilled. Cook, stirring a couple of times. 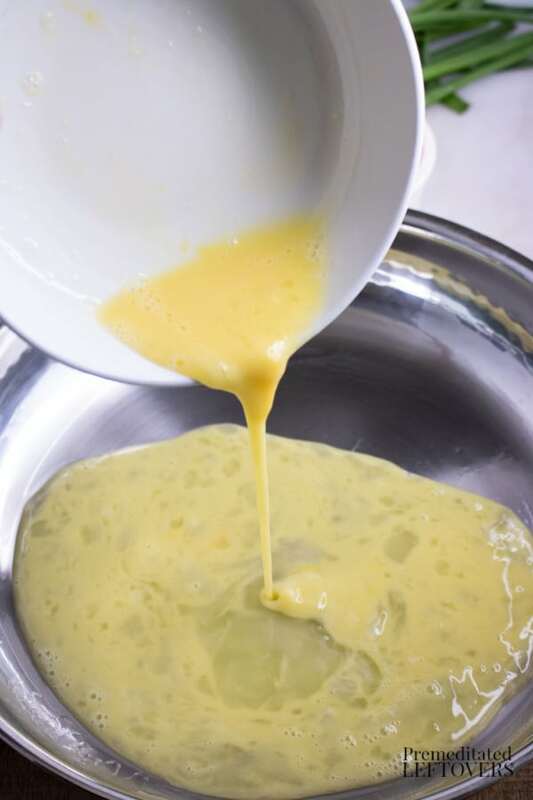 Once eggs have finished cooking, set them aside. Add the onions to the pan and cook over medium heat until soft, approximately 4 minutes. Add in the cauliflower rice, peas, carrots, and scrambled egg. Stir to mix. Then drizzle the soy sauce, orange juice, and honey over the rice mixture. Stir to coat. Serve the Fried Cauliflower Rice with your favorite Asian dishes. An easy low-carb substitute for Fried Rice using homemade cauliflower rice. 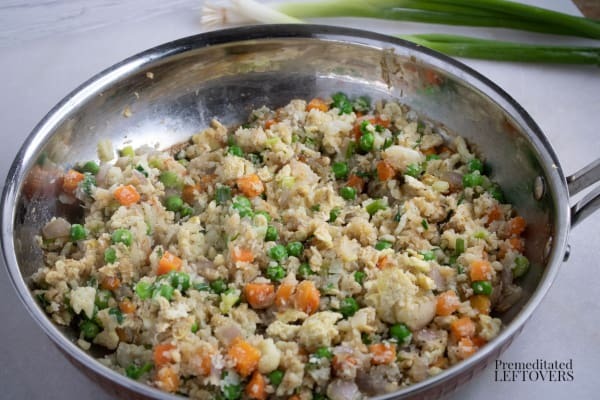 Add in the cauliflower rice, peas, carrots, and scrambled eggs. Stir to mix.